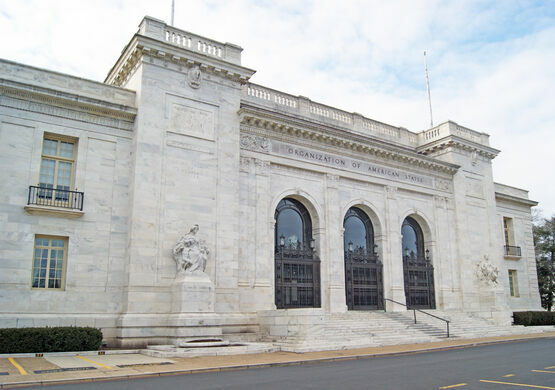 The grand marble structure next to the White House is the headquarters for the Organization of American States, an international diplomatic body that promotes peace and commerce between North and South American nations. 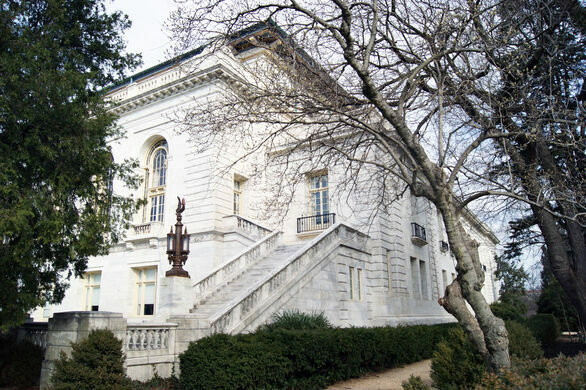 The OAS building was made possible by a philanthropic donation from Andrew Carnegie, a longtime supporter of world peace. 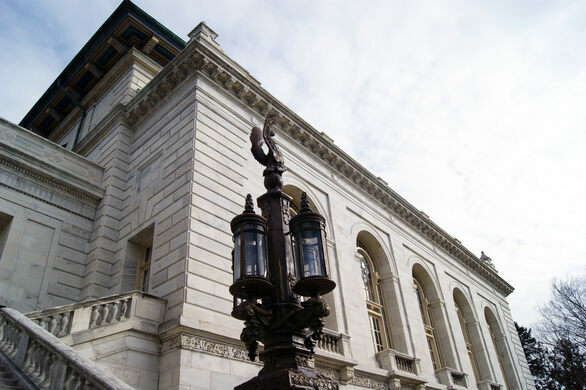 The magnificent design was put together by Albert Kelsey and Paul Cret and quickly drew praise as one of the most elegant pieces of architecture in Washington, D.C. (Back then the OAS went by a different name, the Pan American Union). 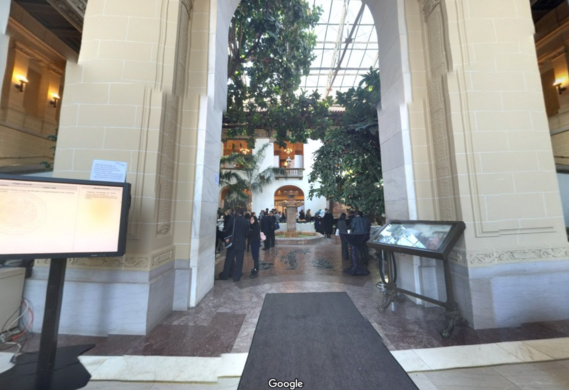 One of the most intriguing bits of architecture was a large indoor patio area that featured flora from across the Americas. 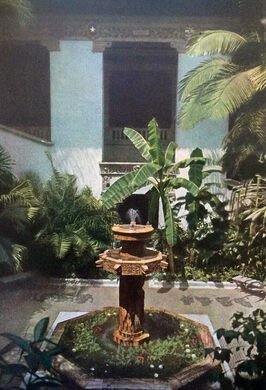 Exotic coffee trees, palms, mangos, and cacti made quite the impression on visitors when the building opened in 1910. According to newspaper accounts from the time, these prized plants were protected from the elements by an early retractable roof. 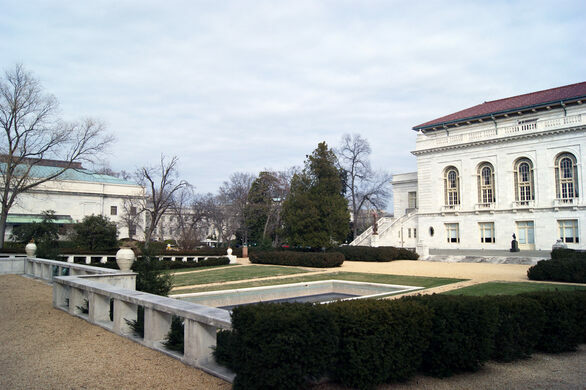 The botanical delights continue outside the building in a formal garden, where you can find a sunken pool and thematic bits of Pan American sculpture. 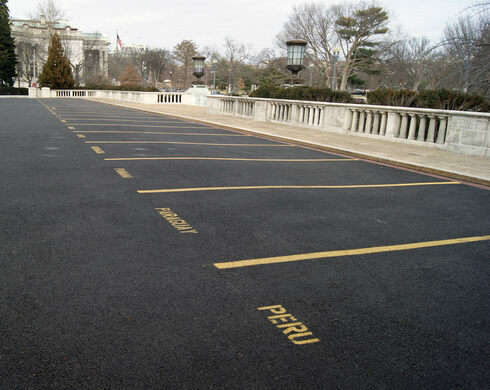 One of the more recent quirks at this site can be found in the 500 foot tunnel that connects the OAS main building with an administrative annex. 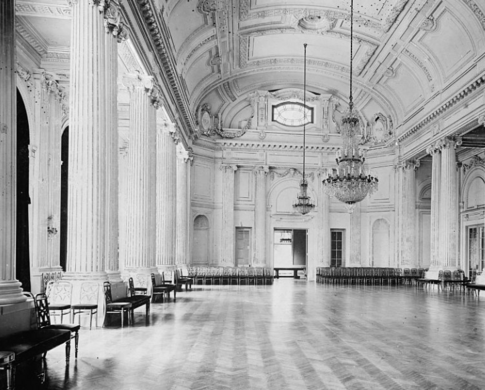 The otherwise drab space was decorated in 1960 with a huge mural by Carlos Páez Vilaró. The work is titled “Roots of Peace,” and was completed with the help of dozens of student volunteers from the nearby Corcoran School of Art. According to OAS Historian James Patrick Kiernan, it’s actually the world’s longest mural. You can see more pictures here. 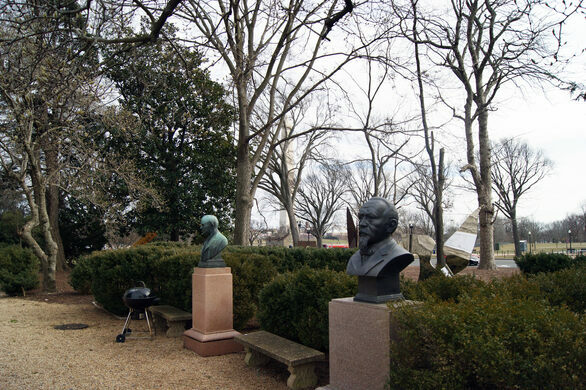 Five minute walk from the White House.